Akiles AlphaBind-CM comb punch and binding machine includes disengageable dies to punch holes in all paper sizes cleanly. Depth margin control features 4 steps to reduce tearing along the bind. 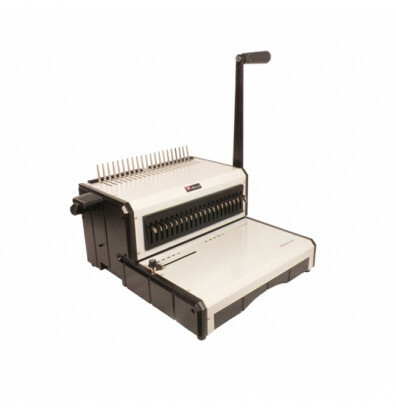 Akiles AlphaBind-CM comb punch and binding machine features a 12" punch length with open throat for longer documents. Its high volume punch capacity can do up to 25 sheets of 20 lb. paper at a time. The side margin control centers documents every time. 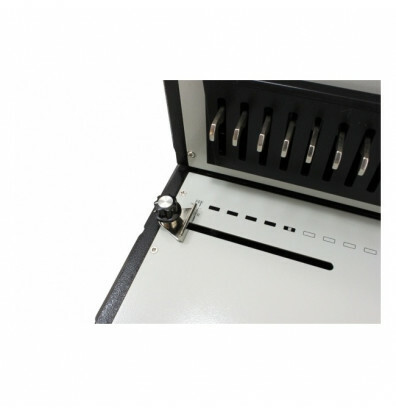 Machine accepts plastic comb binding spines up to 2" in diameter. Disengageable pins allow punching of all paper sizes without any partially punched holes. 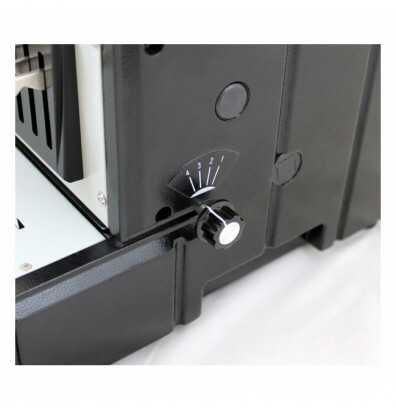 The depth margin control features 4 steps to reduce tearing along the bind. All-metal construction for long-lasting use. Open throat design for longer documents up to 24"
I am a small printer on and have been using an inexpensive binder for years. Finally it broke so I spent an extra $75 for this punch/binder. It was worth every penny. This machine is super well built and is a heavy hitter. It punches through 15 sheets with no problem and we love it. Very recommended by this shop!